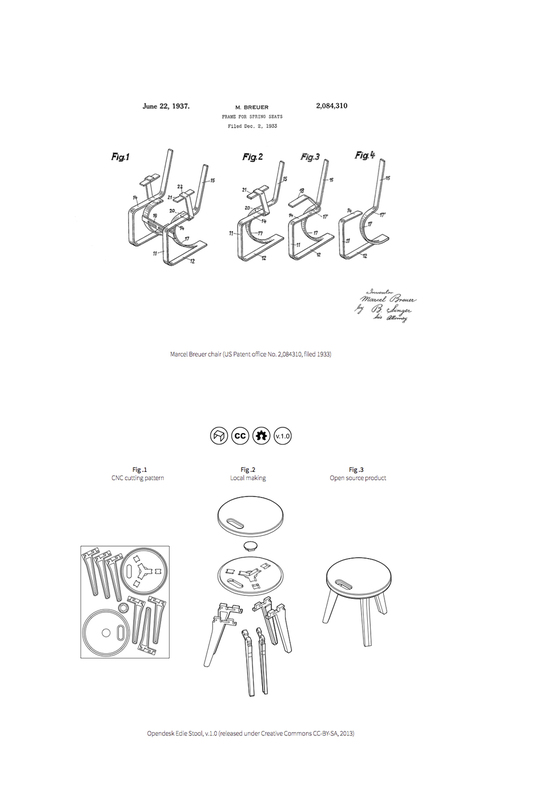 Opendesk’s contribution to #itsalldesign includes our little Edie Stool - one of the first designs published on Opendesk and made for the exhibition at Vitra Design Museum’s own workshop - and openmaking.is - a collaboratively authored website discussing ideas about the emerging space at the intersection of design, technology and social production. We thought it would be good to share a little background to our contribution - both what we were invited to respond to, and how we thought about a relevant response in relation to the things we as designers are engaging with here at Opendesk. It began with the Vitra Design Museum asking us to consider the relevance of the Bauhaus and its underlying principles to the work we are doing - as applied to Opendesk and more broadly to our own work as designers. The first thing to state is that we have always shared an interest in the real challenges we face as a society - challenges we feel designers and Design as a broader discipline can choose to address (rather than simply focusing on producing yet more things). Researching and thinking about what the Bauhaus really stood for - in respect to the world of Design but more importantly to the design of the world (thanks, Bruce Mao! ), we found not only a strong desire to face societal challenges, but moreover real resonance and inspiration in the founding texts of both Walter Gropius and later Hannes Meyer. As we read through these ‘manifestos’, which set out guiding principles on which versions of the Bauhaus were founded, it became clearer to us that there were greater parallels between the formative times around the Bauhaus and the volatile times in which we now live than we had originally considered. The Bauhaus school existed through a time of great technological and social change - just after the industrial revolution, and through a period of huge social and economic challenges. One of the Bauhaus’ broader missions was to take advantage of new technologies - to make design more accessible to a wider audience, thereby engaging in the transformation of society. This could really be seen as the move from design for the patrons - the 1% - to design that’s accessible to the many, and would eventually lead to what we now think of as mass production. However it could also be considered to have defined Design as a consumable commodity rather than a fundamentally human problem-solving endeavour - one of the legacies of the Bauhaus is the whole world of globalised production as we think of it today. This, despite the fact the Bauhaus process itself was heavily geared towards ongoing experimentation and multidisciplinary design (the act of making was in many ways as important as the end-product). Now, at the start of the 21st century we are again in a period of rapid change - with rapid technological advances, new models of collaboration and new digital tools for designing and making - all set against our own social and economic challenges. We see this as forcing us to question how design and making will change in the years ahead - how these technologies and contexts will affect our own model of production - whilst also tooling us up to be able to make these changes. Through enabling technology, alongside a collective desire for ‘no more business as usual’, we perceive a societal shift that’s bringing about a new normal and changing the way we think about design imperatives. Through a combination of these factors we are already seeing an opportunity to rethink how goods and services are made and distributed on a global scale. 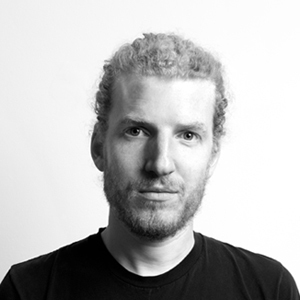 We believe the shift towards an increasingly online, on-demand and always-on world - alongside a desire to be more social, transparent and collaborative - is fundamentally challenging the old model of mass-production as it has existed from the time of the Bauhaus, and steadily replacing it with a new model - a new means of production. This of course is the world of marketplaces, platforms and services, the world of online collaboration and the sharing economy - it’s YouTube versus Hollywood; Airbnb versus traditional hotel-chains, Wikipedia versus the printed Encyclopaedia. 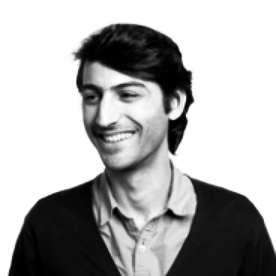 This is also the broader shift that framed our thinking when we first began working on Opendesk. We wanted to understand how under-utilised machine-time on digital tools around the world, combined with the skill of local craftspeople and the un-tapped talent of a community of independent designers could be unlocked to offer an alternative supply-chain. However we also recognised we couldn’t possibly be the only people thinking about this - in fact the more we began to explore this idea the more we found like-minded people around the world and the signs of a new model emerging. 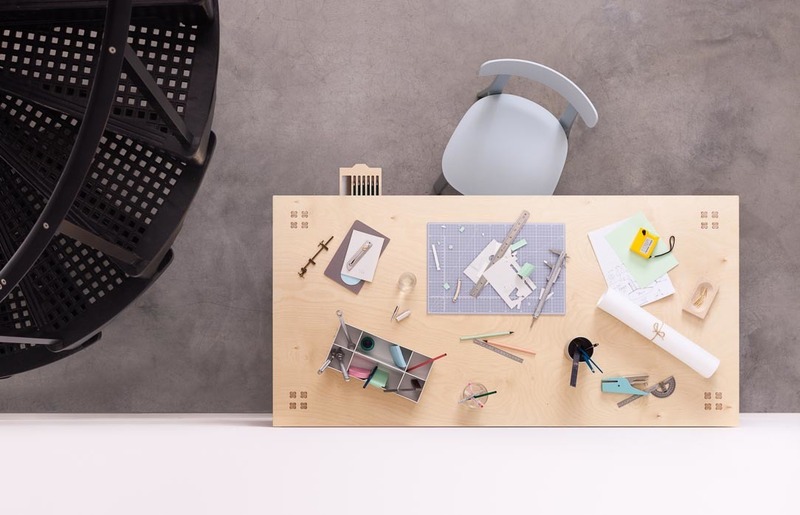 It is those very people that made it possible to get Opendesk off the ground; and it’s this new approach to the design supply chain - more human-centred, social and local - that we (for want of a simple shorthand) began calling ‘Open Making’. 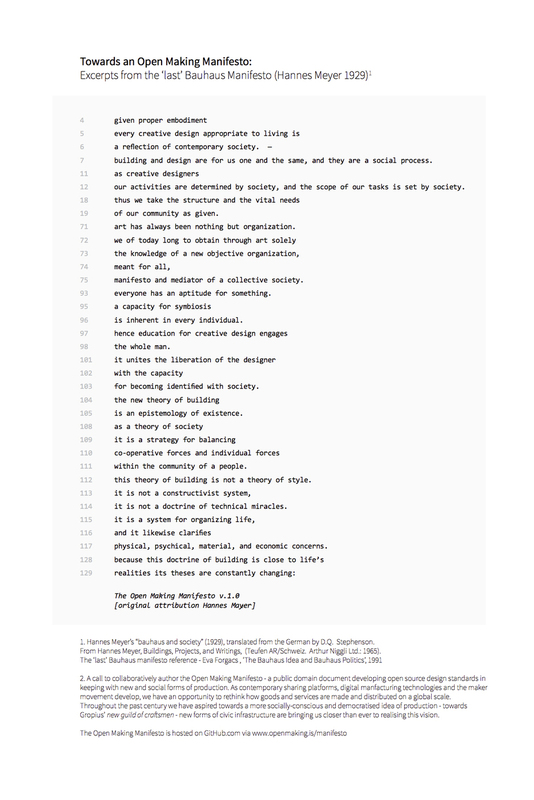 So the Bauhaus was established on a set of values and principles embodied in their own manifesto, like many other artistic and social movements of the past - but we began wondering what a ‘manifesto’ for Open Making might look like today, in an age of Wikipedia, open source, and constant innovation. How would a manifesto for engaging designers in Bruce Mao’s ‘Design of the world’ appeal to a multitude of perspectives? Surely a singular view would not suffice. How does one write a manifesto for design today (the very term ‘manifesto’ becoming inappropriate if taken too literally as a singular document). We decided to pose this question as part of our response to #itsalldesign. The Open Making Manifesto is an evolving thought-piece and online resource available at openmaking.is - a conversation hosted by Opendesk and the Vitra Design Museum. It features a group of contributors at the heart of this discourse, sharing their ideas and resources, whilst also opening up the discussion for wider contributions. Seeking to define an emerging movement at the intersection of design, technology and manufacturing, it sets out principles and best-practices on design and production for a collaborative economy, as contributed by our community. As a co-authored online document (and unlike manifestos of the past fixed at a moment in time) this ‘manifesto’ attempts to be a living resource - the perspective of a whole community evolving over time. In Vitra’s design museum the Open Making Manifesto is communicated through the openmaking.is website, available for visitors to explore online. 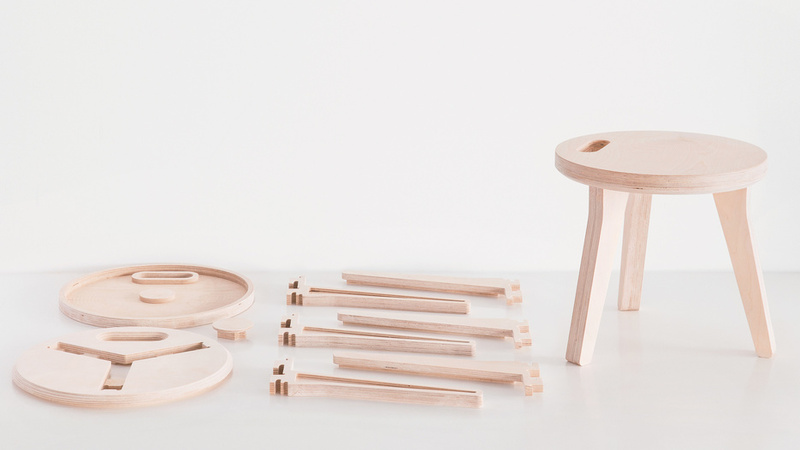 It is displayed alongside our Edie stool - chosen as a tangible example of Open Making made real. 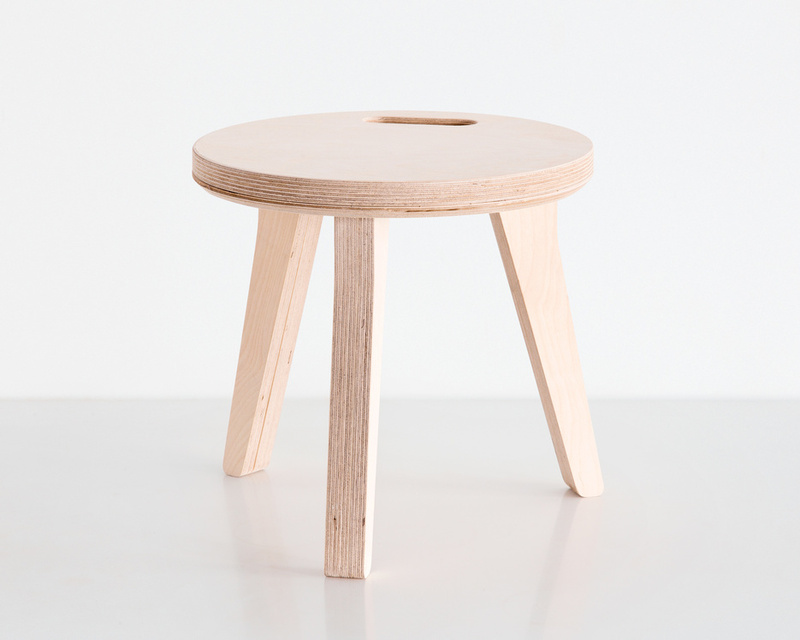 This little stool was one of the first pieces we designed for Opendesk. 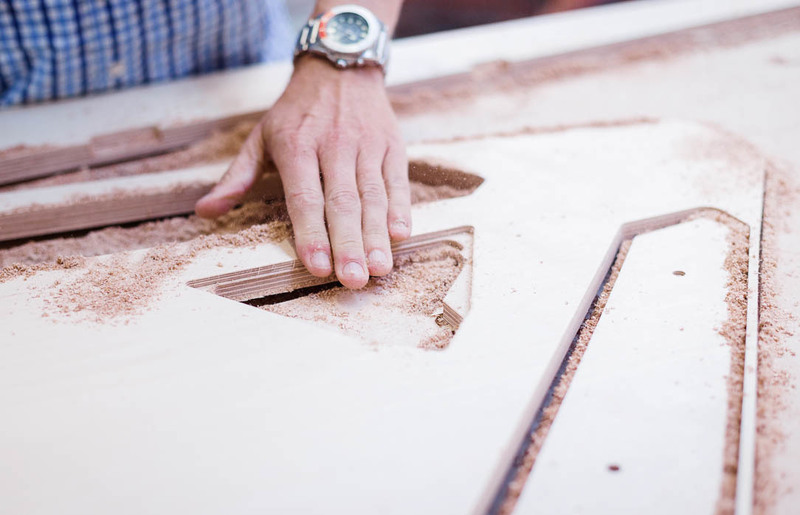 Like all the designs hosted on Opendesk, it’s been designed to be manufactured by independent makers all around the world using digital tools, from open source files downloaded from our website - effectively moving production from just a few factories to many local workshops. It has been made far and wide - from a garage in East London, to a professional carpenter’s studio in Mexico City; a FabLab in Turin to the Vitra Design Museum’s own workshop in Germany. Throughout the past century many have aspired towards a more socially-conscious and democratised idea of production - towards what Gropius termed ‘a new guild of craftsmen’. Now, as new forms of civic infrastructure bring us closer than ever to realising this vision, it’s humbling to think that the Opendesk community might play a small part in that journey. Opendesk and 12 others are turning a part of east London into the Maker Mile for the London Design Festival on 21st September.